Recently, the Southern Ute Indian Tribe, which has governed its air quality standards for several years, followed suit, receiving permission to create its own water quality standards on the reservation south of Durango. More and more, Native American tribes across the country are taking the lead on implementing their own air and water quality standards, highlighting a growing trend to embrace self-governance. “By becoming a primary regulator, the tribe is asserting its sovereignty with regard to environmental protection, and the tribe hopes to improve environmental protection on the reservation,” said Lindsay Box, spokeswoman for the tribe. Native American tribes have the option of petitioning the federal government to take on the task of drafting their own air or water quality standards through the Environmental Protection Agency’s Clean Air Act and Clean Water Act. In 2015, the Southern Ute tribe sent an application to the EPA asking for the right to create sovereign water quality standards, arguing the tribe has a long history of protecting the environment on the reservation. George Parrish, an environmental scientist on the EPA’s water quality standards team, said the agency evaluated the tribe’s application within a set of federal requirements that would allow a tribe to take on that responsibility. Namely, tribes must have jurisdiction over the lands where they want to implement water quality standards and must demonstrate they have the capability to administer that program. 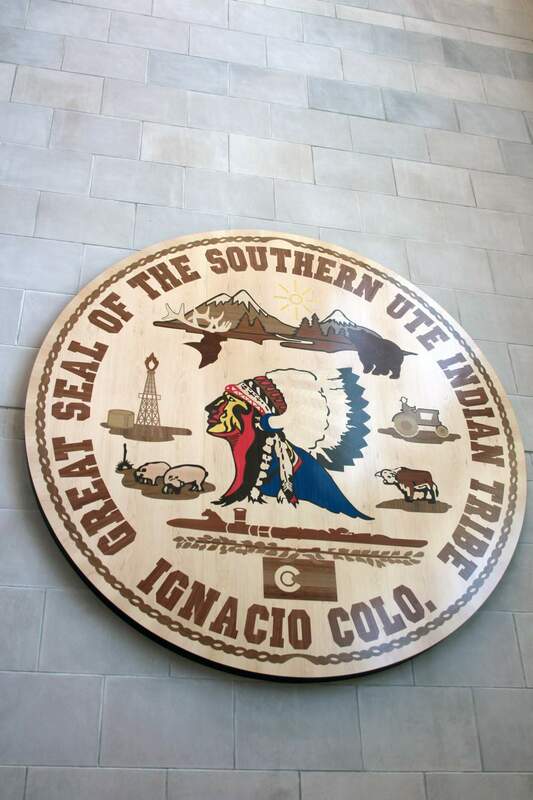 The EPA officially approved the Southern Ute tribe’s application April 2. The tribe must now draft actual water quality standards that will be subject to another evaluation process, which will include the opportunity for public comment. David Coursen, a retired EPA lawyer, said tribes moving to take a more hands-on approach to air and water quality is part of the larger “self-determination era” for Native Americans, which encourages a tribe’s self-governance. Essentially, the federal government has provisions in place that allow tribes to have many of the same functions as states, particularly when it comes to intergovernmental agreements with the EPA. In Colorado, the only other Native American tribe that has control over its own water quality standards is the Ute Mountain Ute Tribe, south of Cortez. Peter Ortega, general counsel for the Ute Mountain Utes, said the tribe was granted that authority in the mid-2000s. The tribe then set standards for its three main waterways: McElmo Wash, Navajo Wash and the Mancos River. Ortega said the provision allows tribes to regulate where federal agencies and states may not have jurisdiction. The end product, he said, are standards for water and air that benefit surrounding communities and the environment as a whole. “I think that’s what tribes are going to start doing throughout the nation, particularly large tribes with pollution from energy resources and other impacts,” he said. Ortega added the Ute Mountain Ute Tribe is likely to pursue air quality standards. In 2012, the Southern Ute tribe received permission to control its own air quality standards that many now consider as strict or stricter than many state and federal regulations. For years, the Southern Ute tribe, which made its fortune on a vast reserve of natural gas, has been considered a leader in self-determination, especially when it comes to environmental regulations. In its application to the EPA, the tribe said it rigorously reviews oil and gas development activities to maintain a balance between development and the preservation of other resources. In sensitive areas, for instance, seasonal restrictions on drilling have been imposed by the tribe to protect wildlife. And the tribe requires oil and gas companies to inject water affected by operations underground instead of storing it on the surface to protect water wells. About eight rivers flow through the Southern Ute tribe reservation. The soon-to-be-developed water quality standards will apply to the tribe’s trust lands, which amount to about 310,000 acres of the reservation. In a public comment period for the proposal, many water and irrigation districts, as well as local governments, expressed concern that the tribe’s water quality standards may be more stringent than the state of Colorado’s. The EPA’s Parrish, however, said it’s too early to comment on those concerns. Once the tribe drafts new water quality standards, those concerns can be properly addressed with opportunity for public comment. “It’s a two-step process for tribes to get federally approved water quality standards in place,” Parrish said. Box said the tribe plans a robust public review and comment process that includes consultation with the state of Colorado and local stakeholders. The tribe has not yet established a timeline for that process, she said. The EPA’s retired attorney Coursen, who dealt with these issues for decades, said it’s common for people to be concerned at the prospect of new regulations. But usually, he said, they don’t differ.